Natalia Nakazawa is a Queens-based interdisciplinary artist working across the mediums of painting, textiles, and social practice. Utilizing strategies drawn from a range of experiences in the fields of education, arts administration, and community activism, Natalia negotiates spaces between institutions and individuals, often inviting participation and collective imagining. 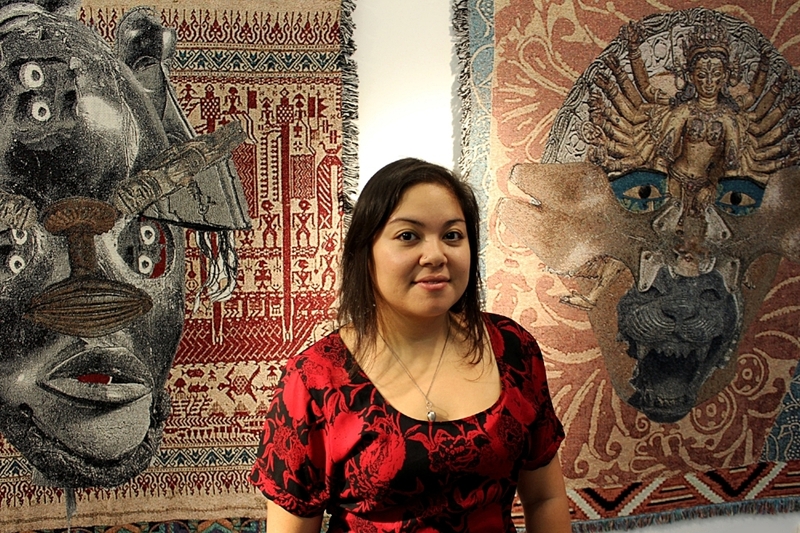 Her woven tapestries incorporate public domain images from the online archives and collections of major institutions, inviting a critical inquiry of power and examination of colonial histories, past, present, and future. She has held the position of Assistant Director of EFA Studios for over 7 years, supporting a large network of contemporary artists through subsidized studio spaces and professional practice opportunities in midtown Manhattan. Natalia received her MFA in studio practice from California College of the Arts, a MSEd from Queens College, and a BFA in painting from the Rhode Island School of Design. Her work has recently been exhibited at the Arlington Arts Center (Washington, DC), Transmitter Gallery (Brooklyn, NY), the Museum of Arts and Design (New York, NY), The Metropolitan Museum of Art (New York, NY), CUE Art Foundation (New York, NY), American Folk Art Museum Gallery (Long Island City, NY), Honolulu Biennial (Honolulu, HI), and Minnesota Street Projects (San Francisco, CA). Natalia is currently an artist in residence at The Children’s Museum of Manhattan, and has been awarded a residency at MASS Moca this summer.